We booked our first 3 nights on our trip at the Hotel Amba in Munich. We had hoped that with a late August arrival in Munich, we wouldn’t have to be too worried about finding a room a month in advance – but we were very wrong. Almost all hotels were full. Hotel Amba was one of the most expensive hotels we stayed at on our trip – at almost $300 US a night – but Munich is simply a very expensive city. We chose Hotel Amba because of good reviews, and also because it was across the street from the central train station – so it was an easy place to after a late night arrival to the airport. Check in was fast, and although we had to go up separately in the elevator due to its size, we were very glad there was an elevator at all. The room was clean, and plenty large enough for our Phil and Teds Travel Cot and Regalo Portable Bed that we were bringing everywhere with us. We were concerned about the lack of A/C, but in late August, this was not an issue. The room was quiet, despite its very central location. 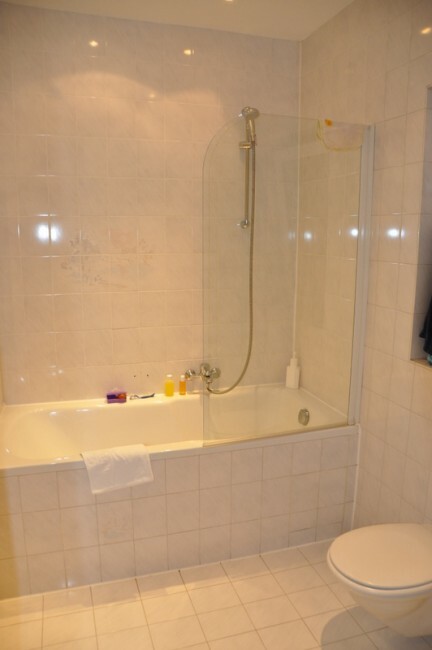 The shower was one of those classic European tubs-made-into showers where the half-glass-wall is nowhere near sufficient to prevent a flood in the bathroom. And, as we soon learned, our kids really had a hard time standing in the rounded tub – so we made the best of it and had them sit while we showered them. 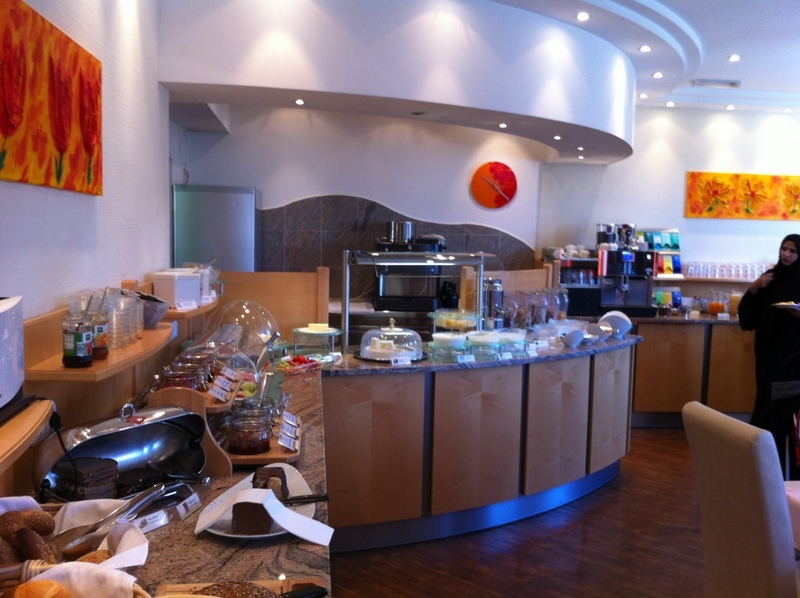 The breakfast was fabulous – all kinds of breakfast meats, hot foods, cereal, pastries, fruit, etc. It really made for a great start to our days in Munich. They even had champagne, which really helped us ease into the day. The location is great – easy to find, and puts you in walking distance of all the main sights. In addition, on one night where we were just too tired to find a restaurant, we were happy to find a Subway restaurant next door, and we brought subs back to the room.